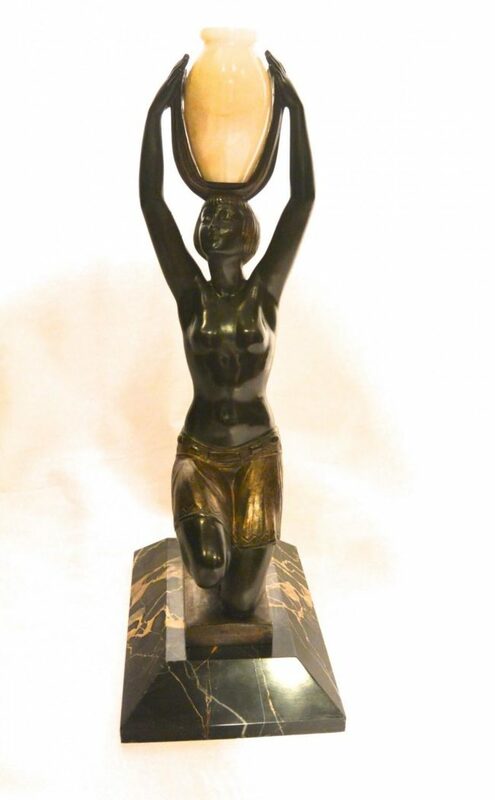 An art deco figure of a woman carrying a water pitcher in her hands above her head. She is sitting on her knees on a marble socle. The figure is patinated in the colors of dark green and gold. The pitcher is of alabaster and not lightened. Signed by the designer Fayral and with the foundry mark of Max le Verrier.